WELCOME TO FINGER LAKES SPINE & BODY WORKS! Located in the heart of the Finger Lakes region in Dryden NY, the leading health care professionals at Finger Lakes Spine & Body Works are dedicated to helping you achieve your wellness objectives -- combining skill and expertise that spans the entire chiropractic, clinical nutrition, acupuncture, and alternative health care wellness spectrum. Drs. Jason Coburn , Sybil Coburn, and Kara Carapella are committed to bringing the Ithaca, Dryden, and Cortland region better health and a better way of life by teaching and practicing the true principles of holistic health care. Patients seeking treatment at Finger Lakes Spine & Body Works with Drs. Jason Coburn, Sybil Coburn, and Kara Carapella are assured of receiving only the finest quality care through the use of a variety of techniques such as diversified, instrument assisted adjusting, and drop table techniques and the latest in chiropractic equipment technology. Dr. Jason, Dr. Sybil, Dr. Kara, and the staff have a genuine concern for your well-being! Our staff of chiropractors, acupuncturist and massage therapists practice a wide variety of techniques to meet all of your alternative health care needs. Dr. Sybil Coburn uses clincal nutrition techniques to address a wide variety of health issues by addressing the problems a their source, rather than seeking to merely cover symptoms. Massage therapists Christina Bucko, Alex Hoover, and Joseph Caponi are trained in a wide variety of massage therapy techniques to soothe and relax sore and tight muscles. 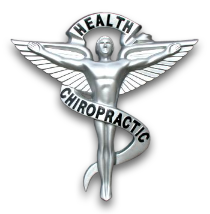 If you are new to our website, please feel free to discover and learn about chiropractic and alternative health and wellness. If you are interested in starting your journey towards wellness please subscribe to our newsletter. This is how we are able to stay in touch and offer monthly specials and promotions. If you are already a newsletter subscriber, please explore the member wellness section of our website for wellness articles, resources, and health facts---specifically targeted by Dr. Jason and Dr. Sybil to your wellness needs and interests. Proudly serving the communities of Dryden NY, Ithaca NY, Cortland NY, Freeville NY, Lansing NY, Groton NY, Locke NY, Moravia NY, McLean NY, Harford NY, Virgil NY, Trumansburg NY, Marathon NY, Harford Mills NY, Homer NY, Mecklenburg NY, Cayuga Heights Richford NY, Blodgett Mill, Newfield NY, Danby NY, Brooktondale NY, Slaterville Springs NY, King Ferry NY, Messengerville NY, and East Genoa NY!